After flying out to Oslo and onto Drammen I soon realised racing on the Wednesday in the city sprint Worldcup just wasn’t a good idea, I was feeling ok but my throat still was still pretty swollen. 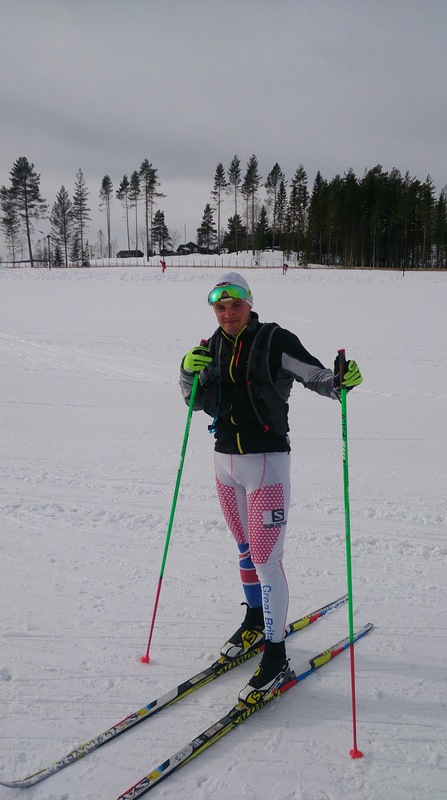 I did a short ski session the day before then tested waxes for the team on the day of the race. Probably not a great idea in retrospect, I really understand how Thomas and Bengt (our waxers) get so tired at races, bombing it round race tracks with just a ski change between laps until all possible wax combinations have been exhausted is heavy going! I briefly thought about doing the Holmenkollen 50km at the weekend as I’d missed Drammen, this thought quickly passed and I saw sense. I still was far from 100% so I’m pretty glad I gave it a miss, the snow conditions were seriously horrible and even many of the big names were really struggling round. Running Andrew Musgrave’s skis to and from the exchange box every couple of laps through that slush was hard enough so the number of abandonments was hardly surprising. 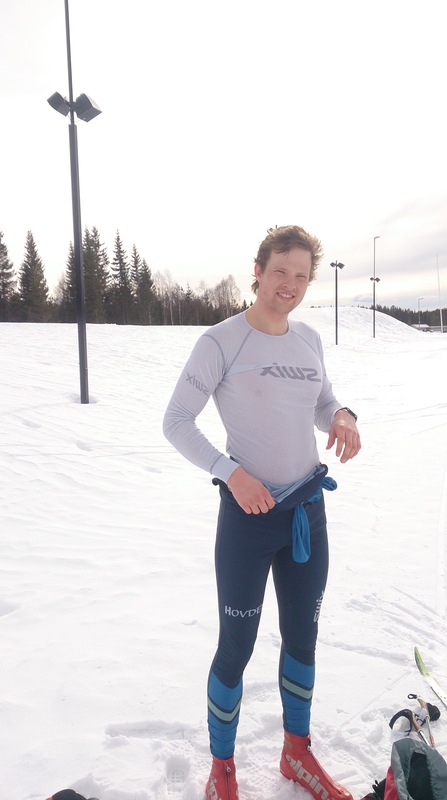 After a morning of working as service men for Fiona’s 30km, Alex and I headed up to Lillehammer on the train for a final week of skiing for the season to be finished off with the Birkebeiner. Alex stayed with Andrew Young whilst I went and stayed with Runar and Ingvar, two of my friends from my time at Hovden ski gymnasium. We did lots of skiing, I got a great chance to brush up my Norwegian and we watched copious amounts of Paradise Hotel. Staying at the finish point of the Birkebeiner means getting up at 4am to get a bus to the race start in Rena. On arrival at the race office in Rena it was announced the start for all racers had been delayed by one hour due to weather conditions, this seemed difficult to believe when the sun had just come up, there wasn’t a cloud in the sky and not a breath of wind. The conditions must have been very different up on the mountains at the midpoint of the race as after an hour of sitting in a carpark waiting on the bus, an announcement was made that the Birkebeiner was cancelled. 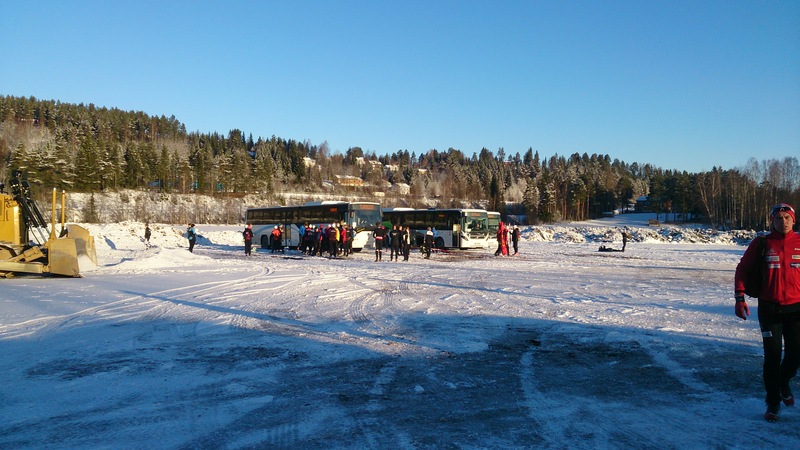 10000 disappointed skiers got back on buses and headed back home, the other 7000 skied the over to Lillehammer and reported great conditions. A real shame, I think they made the decision to cancel too early but they obviously felt it was dangerous at the time and safety is of course paramount in such decision making. I would be far more pissed off with it of course had Fiona not managed to sweet talk the organisers into not paying the (non-refundable) £180 entry fee when collecting our start bibs! On returning to Lillehammer I went for my final ski of the season, smashing it up to Sjusjøen from the Birkebeiner stadium and back again. Conditions were brilliant and it was fantastic to see so many people out skiing, but I felt horrendous! Runar and I both agreed when we got to the top that it was maybe a good thing the race was cancelled. Despite not going to plan racing wise I greatly enjoyed this trip, it was wonderful to have all the pressures leading up to the Olympics lifted meaning I could just enjoy skiing. It was also lovely to see so many of my Hovden friends at the (cancelled) Birken party, some of whom I haven’t seen since leaving Hovden 3 years ago. I’ll give a full season summary shortly.